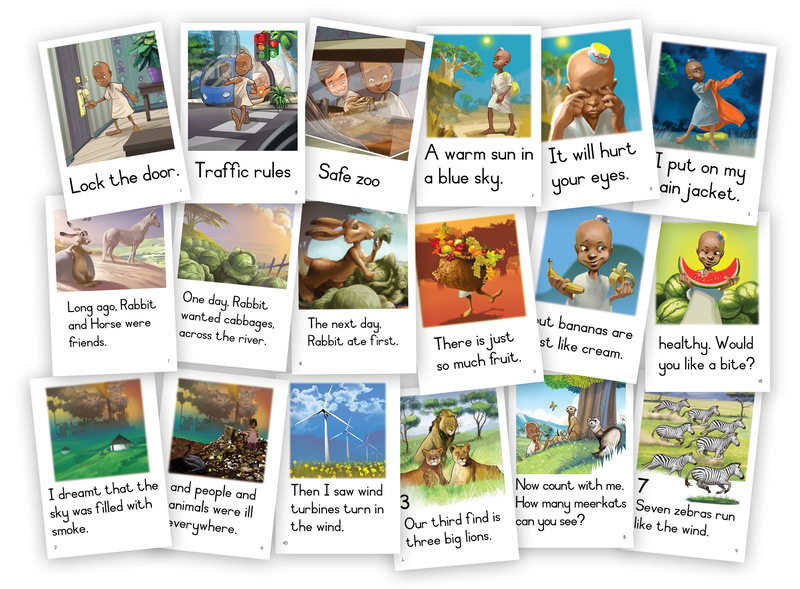 A progressive reading series for children that begin to read. The first books have beautiful illustrations only, progressing from there to illustrations with a single word, to simple sentences and ending with more complex sentences. The topics deal with social and environmental issues that are dealt with in a colourful, imaginative and fun way in Kolulu Taktaki’s world. This allows children to learn in an entertaining manner. Format: 240 x 165, Portrait, from 8 to 16pp. 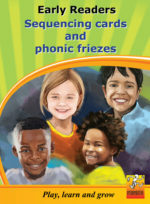 This book contains the sequencing cards that supplement the series of 40 graded readers and offer the interactive learning experience that is a key feature of the Play, learn and grow series. The sequencing activities in this book will assist the children with comprehension and teach them to organise information and ideas in general. Format: 297 x 210, Portrait, from 92pp.